Getting a mortgage is a complex process and perhaps one of the most significant events of our lives, at least in financial terms. Our friends at San Diego Funding have provided us with a simple check list to help us and our clients with the mortgage process. 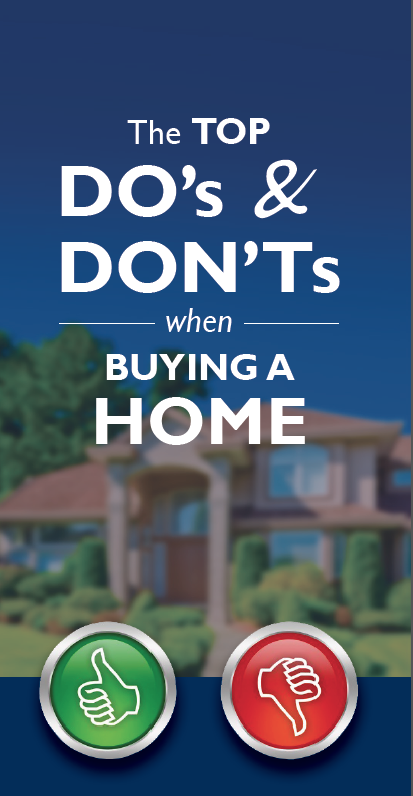 Avoid Making Major Purchases during the Loan and Home Buying Process: Items like furniture, appliances and even that new car for the garage should wait until after the purchase is complete. Avoid Applying for New Credit alongside the Mortgage: Wait before applying for new credit, even if youre preapproved. Shifting around your credit, like opening or closing a credit card or transferring balances, can hurt both your FICO score and mortgage application because it skews your credit utilization ratio. Avoid Taking Out New Loans: Avoid taking out any new loans for cars, boats, or other expensive items. It is also a good idea to avoid increasing credit card debt during the loan process. Avoid Changing Your Credit Behavior: Paying off loans, credit cards or collections are not always beneficial during the loan process. Your lender will advise you on the best options for your situation. Avoid Job Hopping: A key to mortgage approval is steady employment and income. If you are thinking of a job or career change, wait until you've closed your mortgage first. When is comes to the Do's of applying for a home mortgage, remember that consistency and stability are key factors in your loan approval. Do Get Pre-Approved: Good preparation is the key to a good mortgage. With preapproval, you will get a written commitment from the lender that will show home sellers youre serious about the purchase. Do Stay Current: It is important to continue making rent/ mortgage payments on time and to stay current on all existing credit cards and existing loans. Do Be Open and Honest: Any information you put down on a mortgage application from 401(k)s to IRAs, to outstanding debts, even bankruptcy filings can all be verified right down to the decimal point. Do Call Your Lender: Communication is key and your lender can provide direction on any questions throughout the process. San Diego Funding has been a trusted source for thousands of homebuyers and their REALTORS since 1981. We are San Diego owned and operated, and have helped thousands of homeowners finance their homes throughout San Diego County over the years.San Diego Funding is approved by FHA, VA, FNMA and FHLMC and specializes in first time buyer programs, FHA/VA, Conventional loans, Jumbo loans, Foreign National loans and Condos in Litigation.